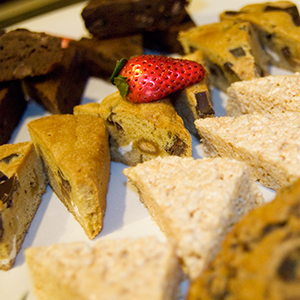 The deadline for placing an advanced catering order is 3 business days before your event. 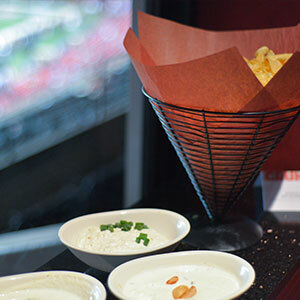 If you miss this deadline, you may order off the limited selection day of event menu inside your suite. Prudential Center is one of the premier entertainment venues in the New York – New Jersey metropolitan area. For fans with discriminating tastes, booking a suite here provides an unparalleled experience. 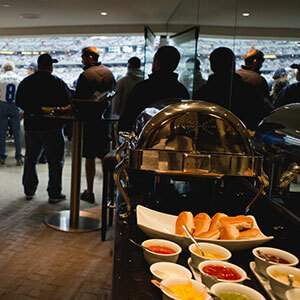 One of the nicest things about attending a game or concert from a suite is having your food and drink brought to you in the privacy of your suite. 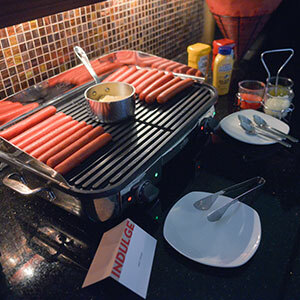 In-suite catering at Prudential Center is an additional cost but it is so worth it. 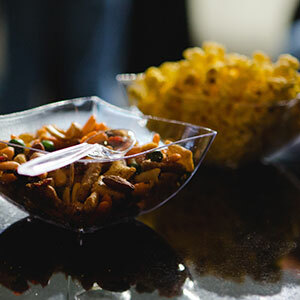 You can order exactly what you need for your party and this allows you and your guests to enjoy the event. Waiting in long lines and standing in big crowds is not part of the suite life. The chefs at Prudential Center know what guests want and they have put together a menu full of delicious choices for any gathering. Let SuiteHop make your catering order stress free. 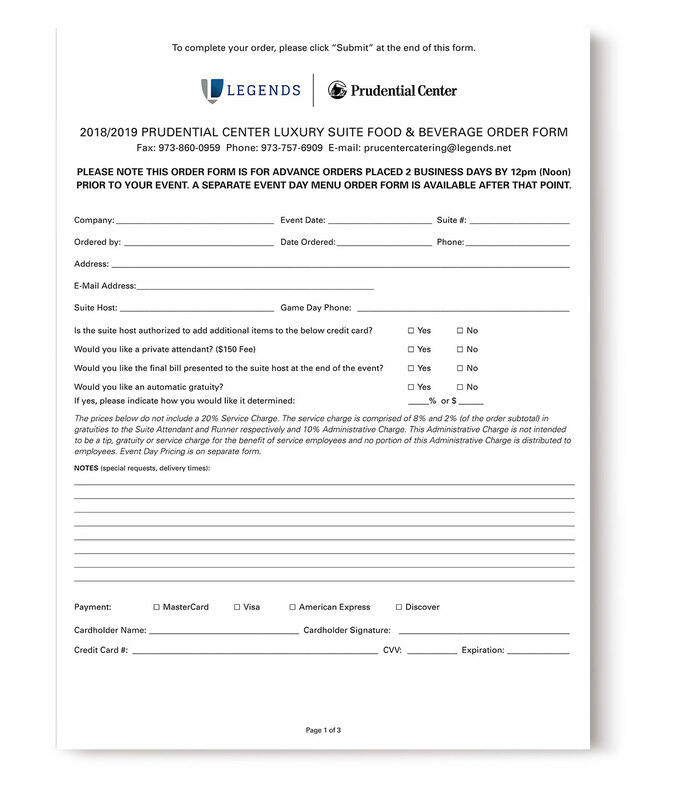 We have a Prudential Center catering order form already filled in with popular choices for you. Look it over and submit and you’re done! If you have specific dietary needs or just have something else in mind, the Catering Guide gives you all your options so you can create the perfect menu for your event. Ordering catering is a complex and confusing process. To help extend your catering budget, we recommend selecting family style items (such as pulled pork) instead of individual portions (steak). Most catering menus, including those at Prudential Center, require a minimum order of 6 portions. You do not have to order portion for every guest you are expecting to attend. This menu is based off the Centerplates’ Prudential Center catering offerings. Items are subject to availability. Don’t be left in the dark about the complexities of a catering order and end up with a surprisingly expensive bill at the end of the evening. 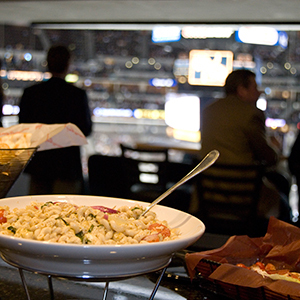 We’ve put together a list of our top Suite Catering Tips for Prudential Center. Be aware of the service fees. 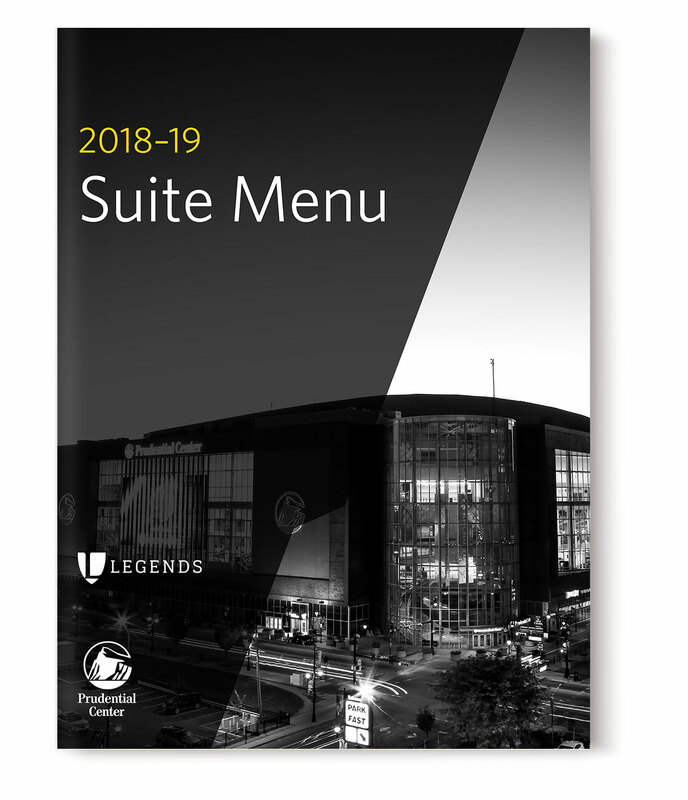 An additional 18% + sales tax is added onto your final bill to cover service costs from Legends Hospitality.